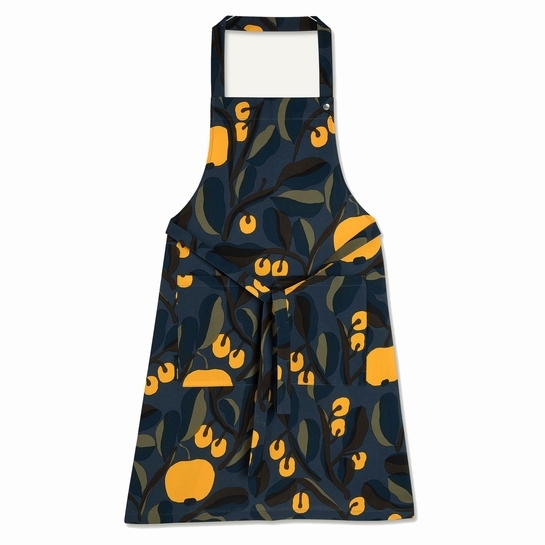 More about Marimekko Jaspi Navy / Yellow Apron This print by Aino-Maija Metsola is sure to inspire fresh meals. 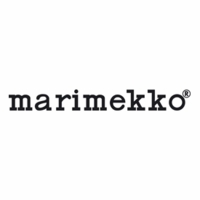 Zesty hues of yellow, brown, green and navy give the modern botanical design eye-popping contrast. An adjustable neck ties, waist straps, and roomy front pocket are details every chef appreciates.